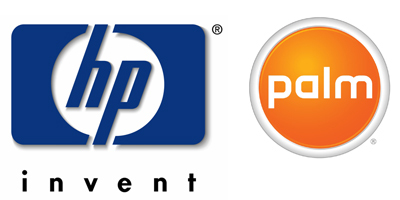 I was intrigued by today’s announcement that HP is going to purchase Palm. Unlike many of the folks in the investment world and technology analyst community, I think the decision makes a lot of sense – and could possibly be a worthy investment by HP. While some have stated that the $1.4 billion price was a bit much, I’m not so sure I see it that way. While most view the Palm acquisition to be a mechanism for HP to quickly become competitive in the smartphone business, I actually think this acquisition gives HP something more valuable than a smartphone hardware platform, it gives them a flexible operating system for a variety of hardware devices. It gives HP the secret sauce to offer products across a number of consumer and business product lines that would allow them to flex their manufacturing muscle, innovative talents, and marketing might. They could easily leverage this acquisition to deliver some very captivating offerings: an alternative Slate/Tablet, a home media server, an e-reader, and possibly a hand-held media player to name just a few. Now many of you might think – does HP really want to take on Apple and the iPad? Why not? The iPad suffers from limited expansion, a non-replaceable battery, and an Orwellian architecture that limits software development, distribution, and innovation. The iPad also boasts a manufacturer with a draconian policy that hinders (or prevents) vendors from delivering new products (e.g. Adobe flash). HP could deliver a tablet device that is priced lower (no OS license fees), more attractive to developers (well documented, open software architecture), and supports a non-1984 software distribution mechanism. How about a home media server that actually works as reported, installs without requiring a 90 minute, Redmond-based software registration and installation process, runs a multitude of different video and music formats, and possibly even providing DVR functionality? If any of you have tried to install and setup a PC-based home media server, you know what I’m talking about. HP could deliver simplicity to the home media server market. Now I’m sure that many of you might be puzzled by the idea of an eReader. While Amazon, Barnes & Noble, Sony, and several other players have delivered offerings, none of them have focused on the business market. An HP eReader could easily be positioned as a documentation platform for business (as well as consumers). Consider the world of business documentation, manuals, and reference materials. While many sources exist on CD and some offer internet access, I’m not aware of any that allow for a hand-held portable use (you know…like a real book or manual). Maybe I’m the only one with a bookshelf in my office—but I doubt it. Consider linking a eReader with a media server. HP is ubiquitous in the laser printer space—what’s to keep them from becoming ubiquitous in the business documentation space? HP has a great reputation working with 3rd party vendors (software, maintenance, accessories, supplies, etc.) . They realize the importance of the channel, the value of a customer relationship, and the benefit of sharing revenue with partners. Oh, and they don’t extract a pound of flesh (or a royalty fee) based on their partner’s product sales like that fruit-logo’ed company.